We're sorry, reservation times are not available online for a party of this size on the selected day. Please call us at 928-638-8560 and we will see if we can accommodate your party. The majority of our tables accommodate 4 guests. For larger parties, questions, or for assistance with reservations, please contact us at 928-638-8560 or 928-638-8511 through October 15, 2019. We will begin taking reservations for 2019 on February 11th, 2019. Reservations can be made at that time online or call us at 928-638-8560 or 928-638-8511 for assistance. Please be sure to include your Guest Type (required by Grand Canyon Lodge). 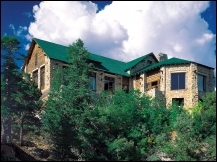 Newsletter: By selecting any of the following options, you agree to receive communications from Grand Canyon Lodge. We do not share your information with any 3rd parties. You can withdraw your consent at any time. Stay personally connected to Grand Canyon Lodge with your free preferences profile. You'll have convenient access to Grand Canyon Lodge's news, promos and special events! And Grand Canyon Lodge can get to know you better with automated communication. Reservation Instructions: The majority of our tables accommodate 4 guests. For larger parties, questions, or for assistance with reservations, please contact us at 928-638-8560 or 928-638-8511 through October 15, 2018. We will begin taking reservations for 2018 on February 15, 2018. Reservations can be made at that time online or call us at 928-638-8560 or 928-638-8511 for assistance. We offer a wide selection of healthy and hearty choices including many gluten-free options. All tables feature views of the Canyon, with some highly sought after tables located adjacent to windows overlooking the Canyon. Non-alcoholic drinks include fountain drinks, juices, hot chocolate, and tea. We also offer unique draft beers, domestic beer, cocktails, and a full bar. Dining guests may also enjoy a drink at the Rough Rider Saloon or on the veranda while waiting for their table. General parking available near the lodge. Turn on Highway 67 at Jacob Lake, AZ and continue 43 miles to the end of the highway.